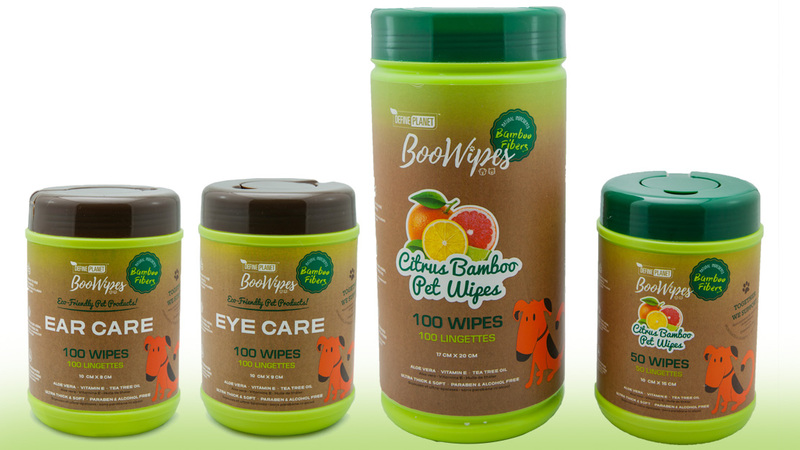 DefinePlanet BooWipes Collection is made of ultra-soft, eco-friendly and 100% bamboo cloth. They provide a safe, gentle and convenient way to cleanse your pets. 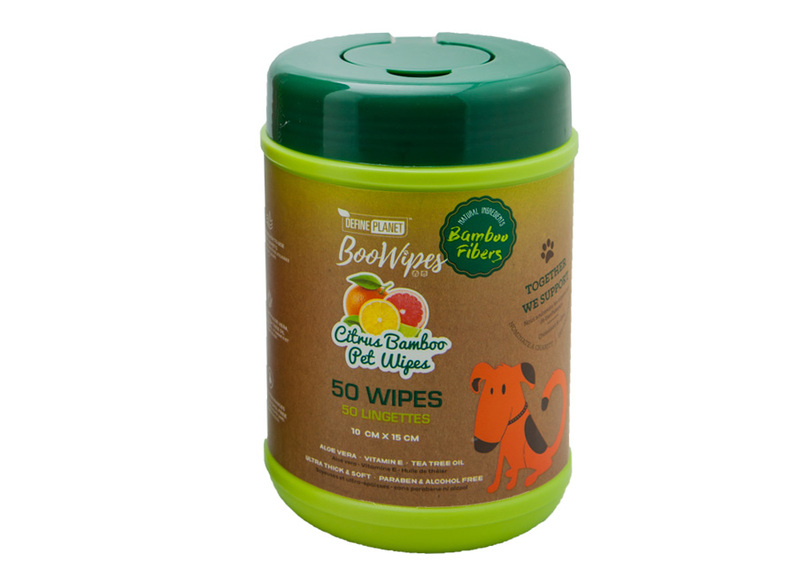 BooWipe cloths are moistened with gentle cleansers, enriched with natural conditioners, oils (aloe, vitamin E) and deodorizers. As a part of our commitment for a sustainable planet, they are biodegradable. 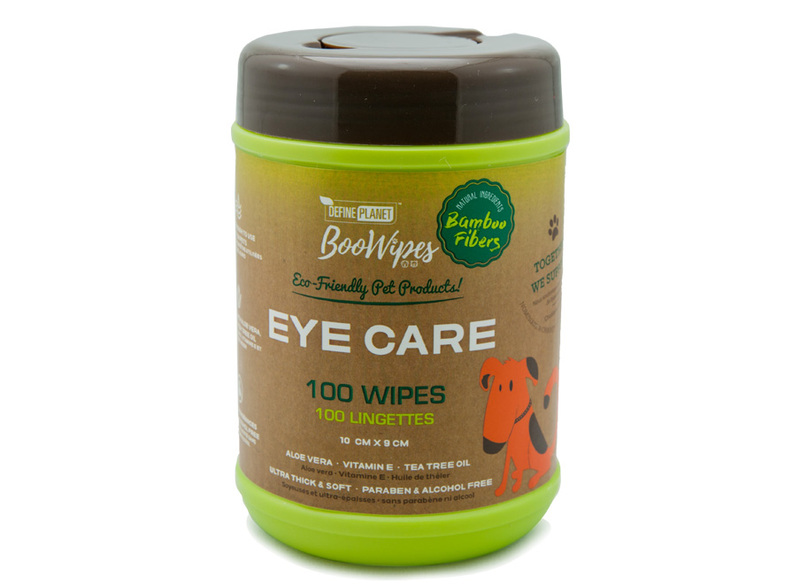 BooWipes EyeCare clothes are a convenient way to keep the area around your pet’s eyes clean and healthy. Gently wipe away dirt, secretions and discharge around the eye area. Regular use can help keep area free of tear stains. This is specially formulated to be gentle around the eyes and is safe for everyday use. 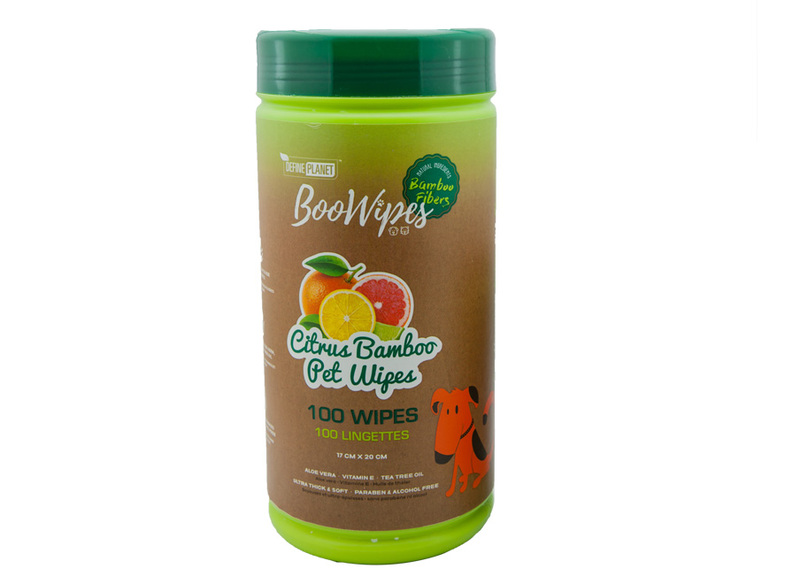 Each soft bamboo BooWipe cloths are moistened with gentle cleansers, enriched with natural conditioners, oils and deodorizers that help maintain a clean and healthy pet. Safe for all over the body and is a great way to freshen your dogs and cats between baths. BooWipes EarCare clothes are an easy and quick way to keep your pets ears clean and healthy. Gently and effectively remove dirt and dissolve waxy build-up to help maintain healthy ear hygiene and prevent odor, itchiness and infections.